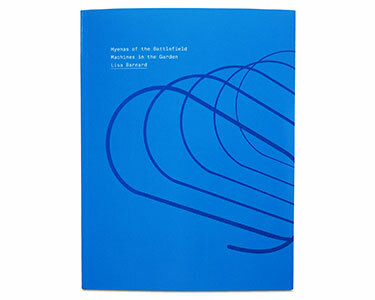 Hyenas of the Battlefield, Machines in the Garden by Lisa Barnard, is a study into the ‘unholy alliance’ between the military, the entertainment industry and technology and the role of the screen in these relationships. 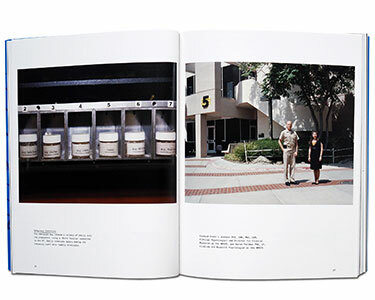 The book shifts from screen to landscape and incorporates imagery from disparate yet indelibly connected areas; from Las Vegas to Pakistan and Waziristan to Hollywood. 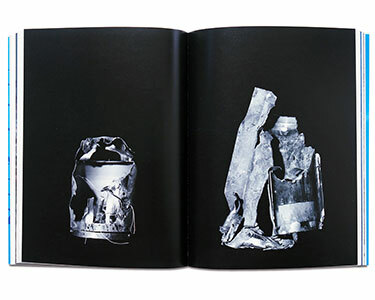 Utilising a range of material – black and white photographs of spent missiles, blue prints of conferences, computer generated imagery, transcripts of interviews with military Clinical Psychologists – the book aims to question photojournalism’s ‘truth claims’ and the indecipherable, all-consuming nature of the industrial-military complex. All materials in the publication have been researched, filmed and photographed by Lisa Barnard. The interviews with the military Clinical Psychologists and the US Air Force pilots were recorded in person and all the images are taken in either the USA or Pakistan. 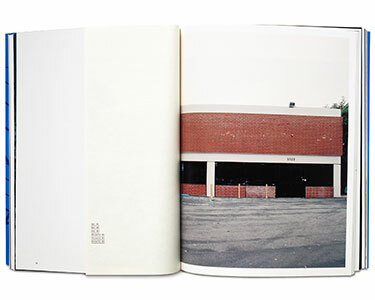 In the title of the book ‘machines in the garden’ refers to the tension between the American pastoral ideal and machine technology; and ‘hyenas of the battlefield’ are the technological-driven corporations that keep the US soldiers ‘in the loop’ but off the ground – a goal of the US administration, to create a model of warfare where no further American soldiers die on the battlefield. The screen is integrated in aspects of training and delivery of warfare, and as a conduit to the healing effects of images of war in therapy for the treatment of Post Traumatic Stress Disorder (PTSD). The project explores how the screen is pivotal to the emerging relationship between war, media and industry, both the virtual and the real. Lisa Barnard is a photographic artist who lives and works in the UK. Her work has been included in several exhibitions and she was the winner of the Albert Renger-Patzsch European Book Award 2012. In 2013 GOST published Barnard’s project Chateau Despair, photographs taken inside the abandoned Conservative Party headquarters at 32 Smith Square, London.